Roam free though a world of mystery and tradition with this online video slot game from iSoftBet. Pearl of the Orient has 5 reels, 3 rows and is built around two exciting features – expanding wilds and free spins. The Geisha Wild expands to cover the entire reel making for unexpected and thrilling combinations. Land 3 or more Golden Swan Red Dragon Scatter and 12 Free Spins will be awarded to you. When landing 5 Wilds, besides the extra spins, you will be granted a 500 coins prize. While these bonus spins play out, each expanded Geisha Wild will upgrade the high-value symbols. An extended Wild also grants another Free Spin. 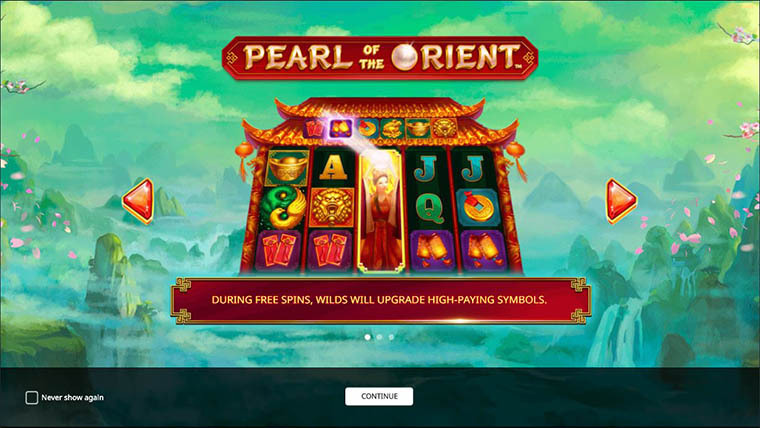 Why play it: Play this game for the excitement the Free Spins symbol upgrade feature and the overall authentic oriental feel.